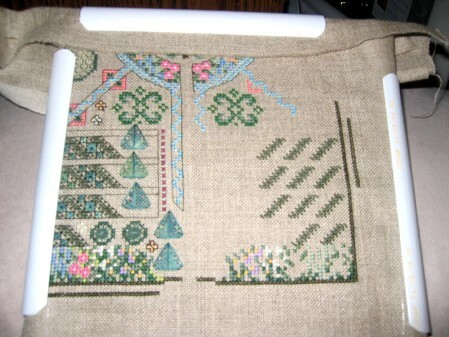 On the stitching front, I made my way through rotations on Baby Garden by Just Nan and LTDs German Garden. I also moved on to page two of Alchemical Romance. And my start on the top right corner of Alchemical Romance. Now I am off to work on Butterfly Rest for a few days. Nathaniel is so cute! 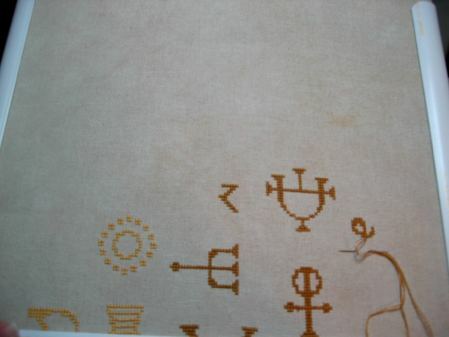 All your stitchign is coming along really well. You are making some amazing progress. Nathaniel keeps getting cuter and cuter! 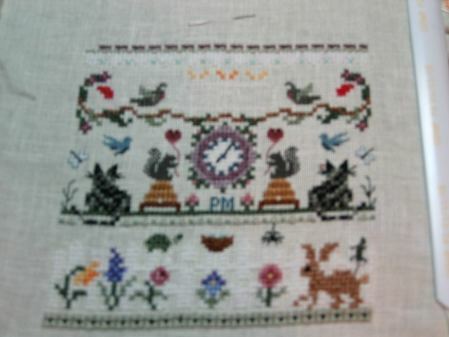 Lovely stitching, I particularly like German Garden. I love Nathaniel’s outfit, he looks so cute. 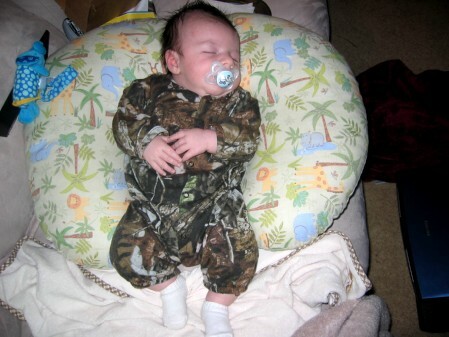 Awww he’s going to be a little hunter! I’m so impressed that you find time to stitch with a new baby! Go girl! Oh, what a lovely baby! His sleeping face is just peacefull! I’m planning to stitch Baby Garden by Just Nan for my son, too. He will be 3 years old soon, though! Nathaniel is such a cutie! Alchemical Romance is awesome – I’m going to have to put this one on my wishlist!